Cicoil’s high performance line of flat ribbon cable is ideal for electronic applications that require better flexibility, broader temperature and harsh environment capabilities than those offered by PVC or other ribbon cables. 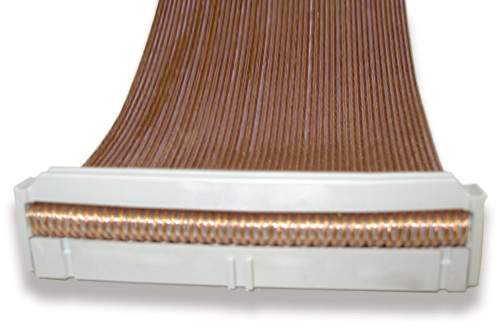 Cicoil’s patented Flexx-Sil™ jacket provides the highest flex, highest performance ribbon cable available. Gauge Pitch: 28 AWG .050"
B - Height (inches): 0.04 max.